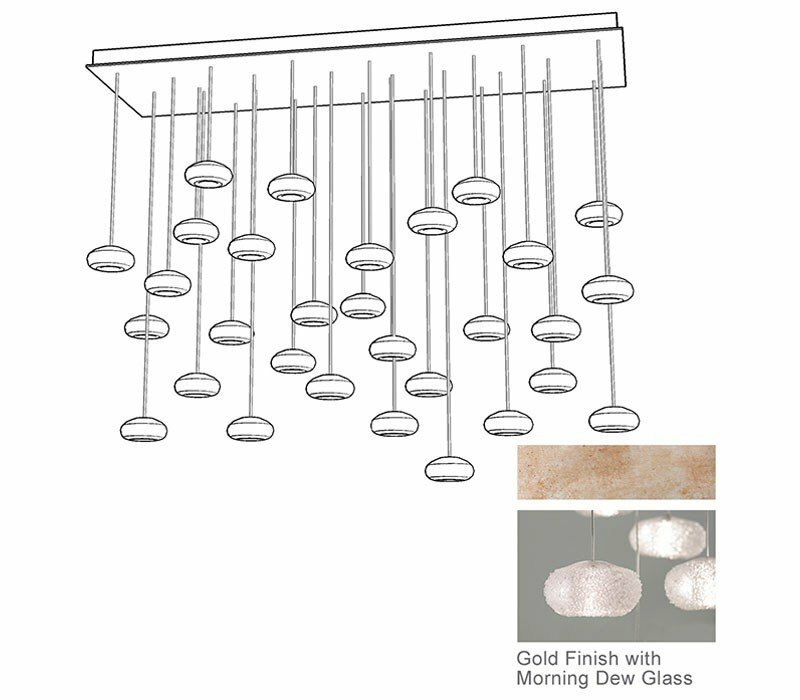 Precious crystal "Morning Dew" glass drops created by the sculpting hands of master craftsmen with gold-toned silver leaf canopy. Also available in platinized silver leaf with choice of three additional crystal glass options. Includes 10W halogen bulbs. The Fine Art Lamps 853640-22 Natural Inspirations collection Pendant Lighting in Gold-Tone Silver Leaf uses Halogen light output and brings Modern style. The total wattage is 280 and the voltage is 120 volts. The Fine Art Lamps 853640-22 requires 28 bulbs (included). 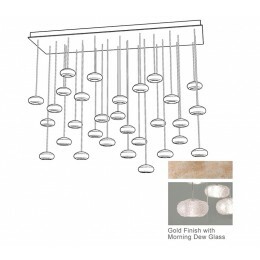 Additional Information: Shade-Morning Dew Sculpted Crystal Glass.